3D2N Pre-cruise-extension Siem Reap and Angkor Wat (Price is per person) – Vegan Travel – Experience it now. 24 April 2019: Welcome to Cambodia. Transfer to your hotel. Dinner in town. 25 April 2019: Angkor Wat. Early risers: We will see the haunting soft morning light over the eerie temples of Angkor. 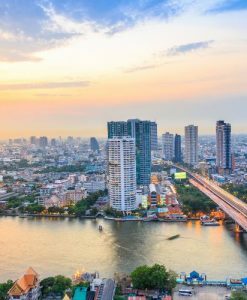 Encircled by verdant steamy jungle, shrouded in mist and with a tropical dawn chorus reverberating in the air, this is something you will never forget. 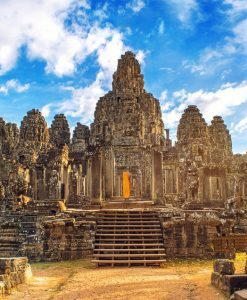 We visit the huge, fortified 13th-century city of Angkor Thom with its five monumental gates and 91-metre wide moat; its centre contains one of Angkor’s most astonishing sites, the temple of Bayon. 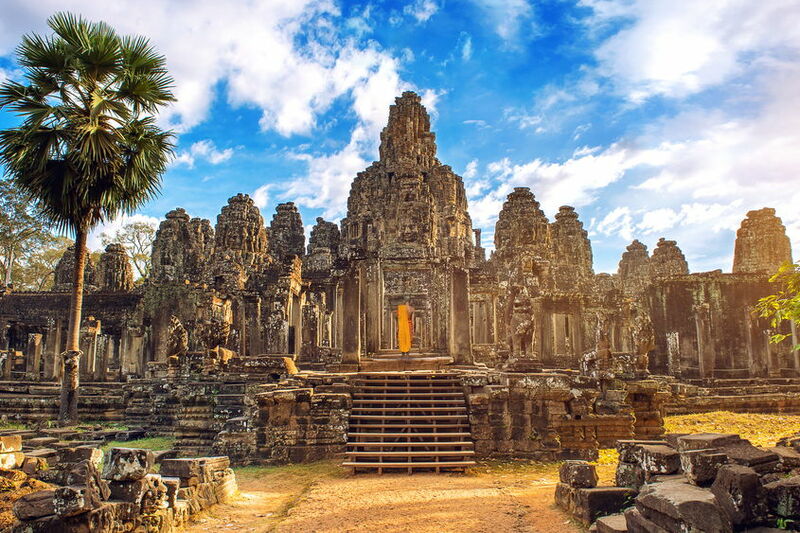 Crowned by over 50 towers, each with four colossal carved heads looking out in every direction, this is an extraordinary masterpiece of Khmer art. One of the most intriguing sites is the smaller temple of Ta Prohm which has been left in its natural, unrestored state, with giant tropical trees bursting through the ruins, their roots entwined like vast tentacles across the moss-covered, weathered walls and roofs. 26 April 2019: After breakfast, transfer to the ship. Enjoy your 7 night cruise.